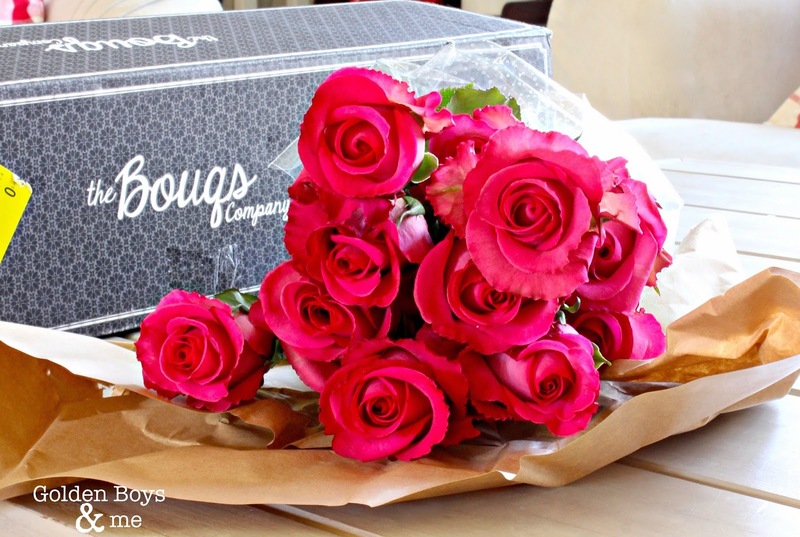 I don't do many sponsored posts, but when I saw the e-mail from the Bouqs, I couldn't pass up the offer for flowers! 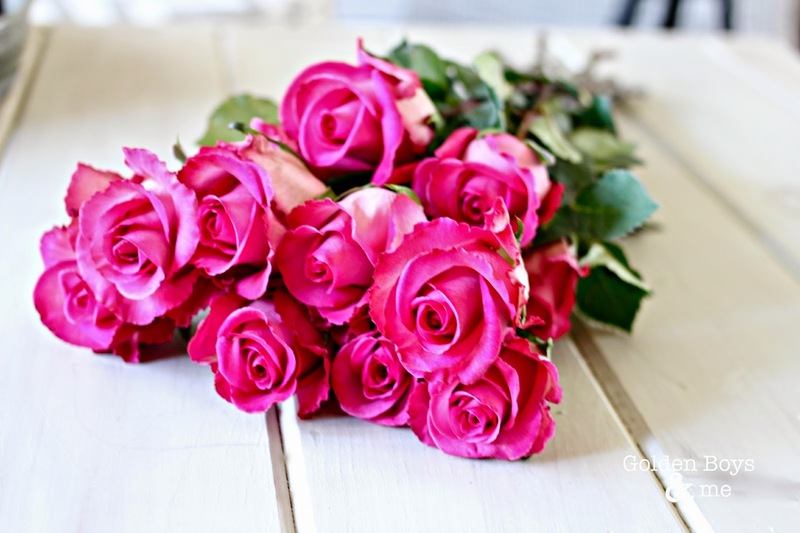 We often send flowers to our family and friends and I was happy to have the opportunity to see for myself just what we would be sending them if we ordered from The Bouqs. I was able to choose which $40 bouquet I wanted and I chose the Killer bouquet for a pop of color in my master bathroom. 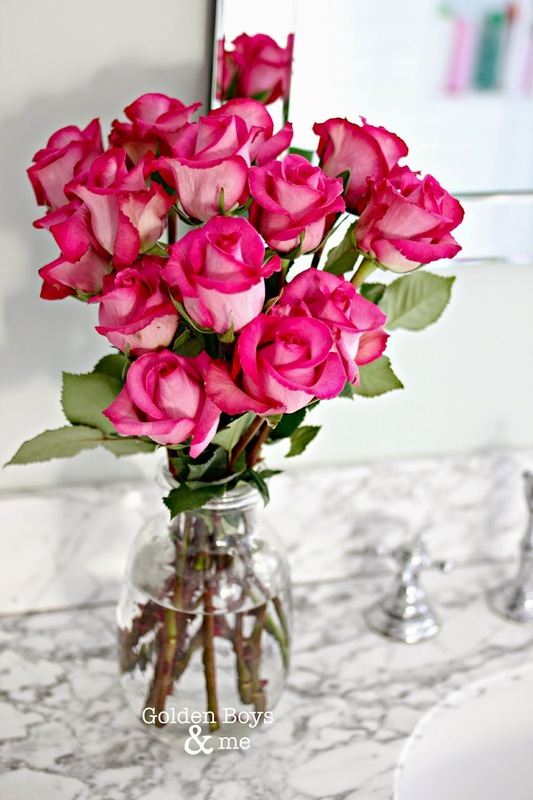 I often keep fresh flowers in bright colors in our bathroom. It livens up the whole room and adds so much freshness. I had seen the Bouqs on the tv show Shark Tank, which is why I think their name jumped out at me in their e-mail. I love that their company stands for a no nonsense approach to flower delivery. Fresh flowers grown on a farm (on the side of an active volcano!) with no delivery fees or up charges added at checkout. If you order flowers like I do, you know that often that $65 bouquet ends up costing $100 at check out when you add in all the fees. My flowers arrived exactly when they said they would (on the day I chose for them to be delivered). They were gorgeous just out of the box. I followed the directions printed on the inside of the box and added the flowers to a vase. As with all fresh flowers, the next test is how long they will last. I enjoyed these flowers for well over a week and they looked great the entire time. I will certainly head to the Bouqs next time I want to send flowers. *This post contains affiliate links. I received a bouquet of flowers for my review. I will always give my honest opinion of any product discussed on this blog. Thanks Susie! They were such a gorgeous pink color. These are gorgeous. I went to their site and what a great company. Love all the designs and how sweet the names are for each design. I will remember them when I send flowers. These are gorgeous. Merry Christmas. Enjoy the days leading up to the big day. These flowers are so pretty. Thank you for the source for fresh flowers, particularly with Valentines Day around the corner!!!! Those are gorgeous!! I Love the the darkness on the edges! This is a really wonderful flowers banquet, i like it!! 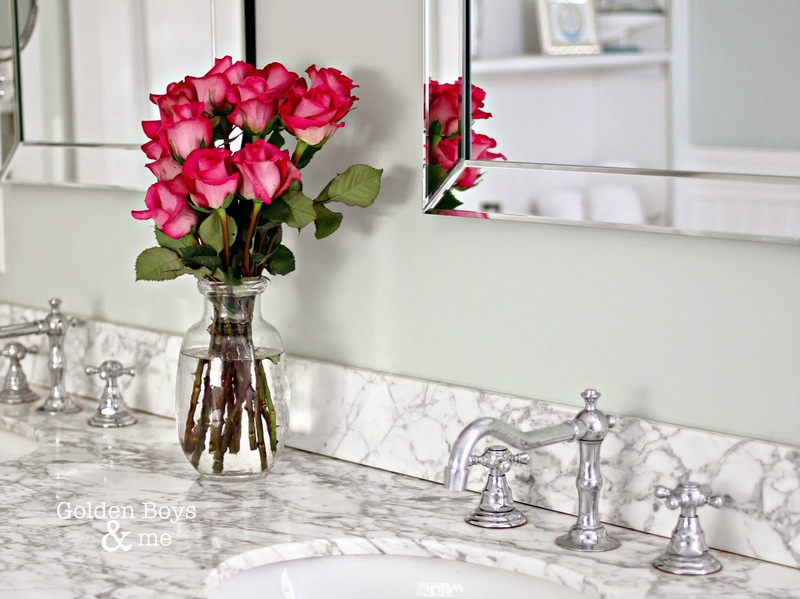 this is a really interesting Master Bathroom Flowers you can find more fresh flowers in pakistan from shoparcade.com.